The Dusk Team share their top tips and expert advice to help get the best night's sleep. When trying to balance work, family, friends and the home, it is easy to forget that we need to take care of ourselves which can be detrimental to our physical health as well as our mental health. For seven days, National Self Care Week will be promoting how vital it is to take care of yourself, whether that means taking a few minutes to relax or even treating yourself. The Dusk Team believe practicing a little self-care a day can boost your emotional, physical, mental and spiritual health for a better-balanced life. Here are a few of their tops tips they'd like to share. And above all else, be gentle with yourself. We can sometimes be our worst critics and beat ourselves up about things we haven't done or should be doing. Give yourself a break. Your mental health is just as important as your physical health. The Dusk Team believe sleep is the key to a happy, healthy and balanced life, and that starts with your bedding. 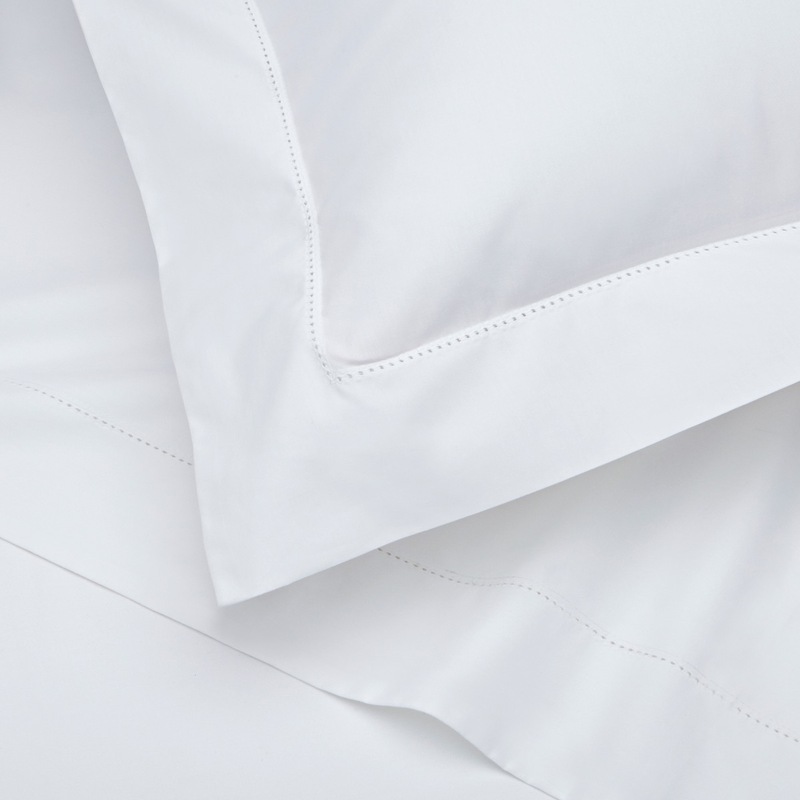 Find out if the Supreme Goose Down is the right fill for your best night's sleep. Our Supreme Goose Down Duvets are the epitome of luxury living: Filled with 80% fluffy white goose down and wrapped in 100% cotton percale, the duvet collection is competitively priced to offer you an amazing quality product for less. But there's more to what makes our duvet great. There are many benefits to down and feather fills. 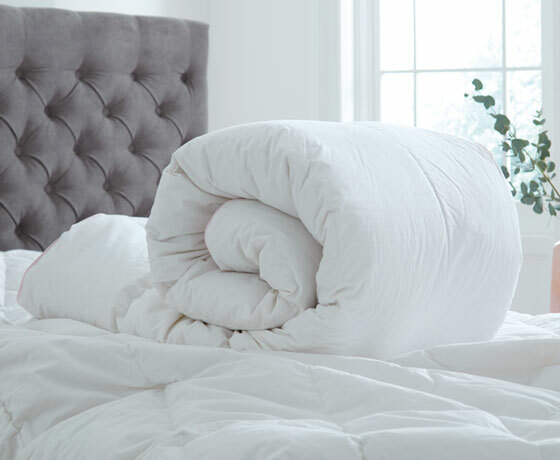 The fluffy down clusters are a natural insulator with incredibly soft strands that make the duvet incredibly lofty with a slight spring back. An inner core of pure white goose feather adds extra weight and support to keep you warm and cosy at night, while the baffle wall structure keeps the down and feathers in place to avoid lumpy or bald patches. Our duvets are encased in 100% superior cotton to compliment the fill for a breathable duvet, perfect for regulating your body temperature during the night. Take a look at our Goose Down Duvets here. 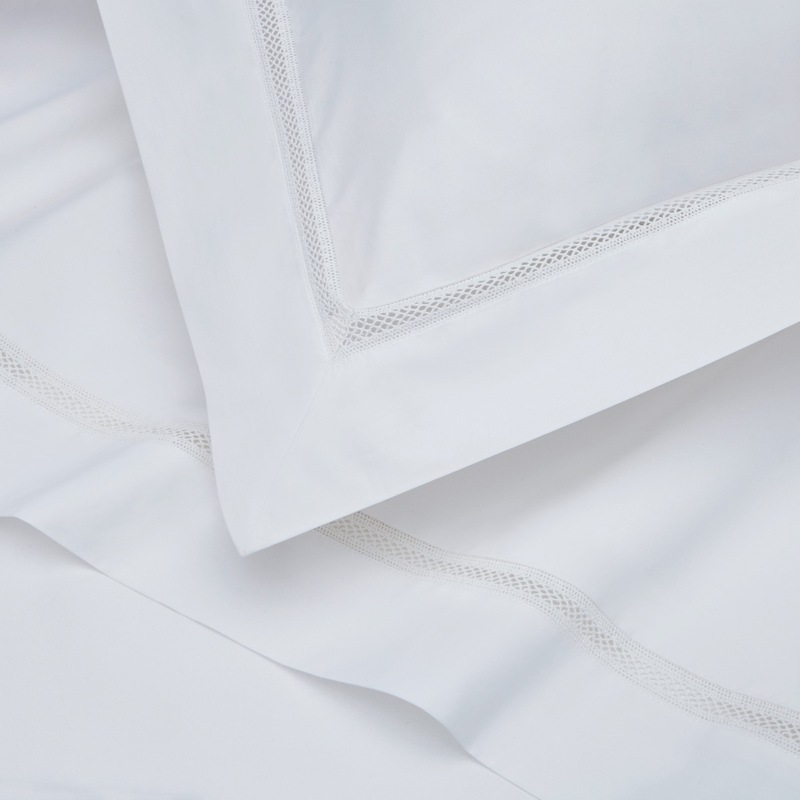 At Dusk.com we pride ourselves in using high quality textiles to create timeless bedding and the thread count of the fabric is part of this, able to adjust the feel and lifespan of the bedding. Our team at Dusk.com believe the best thread count is between 200 and 400, and uses 100% pure cotton yarn for a supreme finish and a soft feel that lasts. But what does thread count actually mean? Simply put, the thread count is the number of individual threads in a square inch of fabric. But it is much more complicated than that. Fabrics are woven using two types of yarn; the warp and the weft. The warp is the vertical yarn, threaded onto the loom while the weft is the yarn woven through from left to right, a timely process that creates the long reams of fabric. This doesn't necessarily mean the higher the thread count is, the higher the quality. Over the years, factories have found a way to increase the thread count of fabric by using low quality thinner yarns, twisting them together to boast a high thread count. Unfortunately, this cheats those who expect higher thread counts to be the best and they often find these fabrics are thinner, lower quality and don’t last. Choosing the right duvet can be a bit baffling when confronted with tog rating, natural or synthetic fillings and dimensions. We've collected some of the most asked questions by our customers to help you find the best duvet for a perfect night's sleep. What does tog rating mean? Tog rating refers to how well your duvet keeps the heat in rather than its thickness. In a scientific sense, tog is a measurement of thermal insulation, with duvet at the lower end of the having a lower level of insulation. We would recommend the All Seasons (13.5 tog) in the winter, the 9 tog in the spring and autumn, and the lighter 4.5 tog during the summer. Our All Seasons duvet is a convenient way to make sure you're at the right temperature all year round. The All Seasons duvet consists of the light and cool 4.5 tog duvet and the warmer 9 tog duvet, giving an overall 13.5 tog rating and making it perfect for all seasons. The two duvets can fasten together for the winter, and taking apart to give you a 4.5 tog in the summer and a 9 tog in the spring and autumn. That is dependent on your personal preference. Goose Down is considered the most luxurious while synthetic fillings like microfibre are favoured by those with allergies. The Dusk Team have worked hard to choose the best quality fillings for our range of duvets, offering you a choice of Feels Like Down microfibre, duck down and feather, and goose down. Which size duvet should I get? It's always best to get the duvet designed to fit your bed. So, if you have a double bed, choose a double duvet. If you share your bed you might want to move up a size in duvet to make your bed super cosy without having to worry about cover stealers. Still have questions? Feel free to comment them below and our Dusk Team will answer them. Getting a peaceful night's sleep is vital for your health and comfort and can be affected by a number of different factors including your pillow. Choosing the wrong pillow can cause headaches, neck and shoulder tension, not to mention feeling groggy and grumpy during the day. At dusk.com, we believe your new pillow should be chosen based on your sleeping habits and personal needs. That's why we've created a handy guide to help you choose the pillow that's right for you, matching pillows to your preferred sleep style. If you find yourself feeling more comfortable lying on your back, a thick pillow with a medium level of firmness could be the best choice. Your neck will need additional support so your head doesn't sink to the mattress, causing unwanted tension and strain. Choose a firmer, thicker pillow for support and add a softer pillow on top for added comfort. When you sleep on your side it will be important to choose a pillow that can keep your head and neck a lined with the spine. Choosing a firmer pillow will offer the additional neck support needed to wake up feeling refreshed and will help to prevent a sore neck. Stomach sleepers only need a small amount of support to allow the neck to stay more in line with the spine. 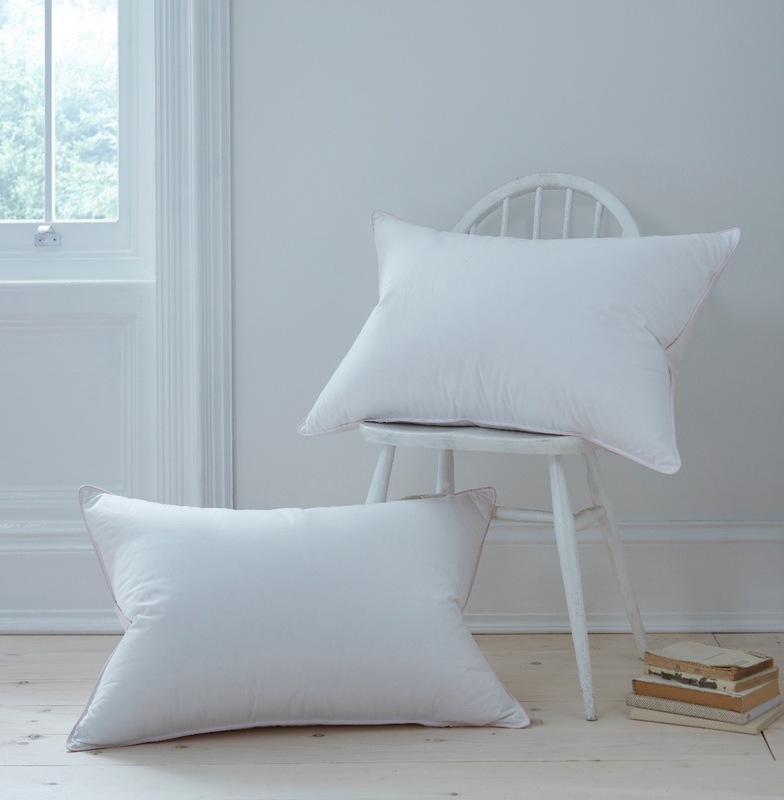 A softer and flatter pillow will offer the right level of support while creating a comfy rest for a cosy night's sleep. If you don't have a favourite sleeping position and feel yourself shifting throughout the night you may need a more versatile pillow to match your sleep style. Choosing a pillow with a medium level of support and some softness can be used comfortably in a variety of different positions, offering continued comfort. Discover your sleep style partner pillow and choose from Feels Like Down, Duck Feather and Down, or the Supreme Goose Down Pillow.